Wonders they say would never end. 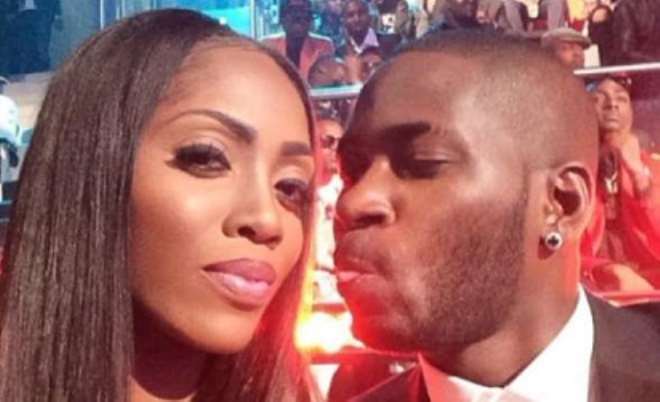 When the marriage brouhaha came up this morning about A-list artiste Tiwa Savage and husband Tunji Balogun, the whole story went viral. While the story was heating up, some fans actually saw it as a publicity stunt to push Tiwa's Savage's new single 'If I start to talk'. Some fans as well spilled out that the issue of account being hacked would spring out as most celebrity does that to save themselves from shame. Guess what? Teebilz has just revealed his account was hacked. He further said, he never wrote all those articles about his marriage. Please, how possible is it for an account to be hacked and then the hacker deleted all the post related to his marriage issues. 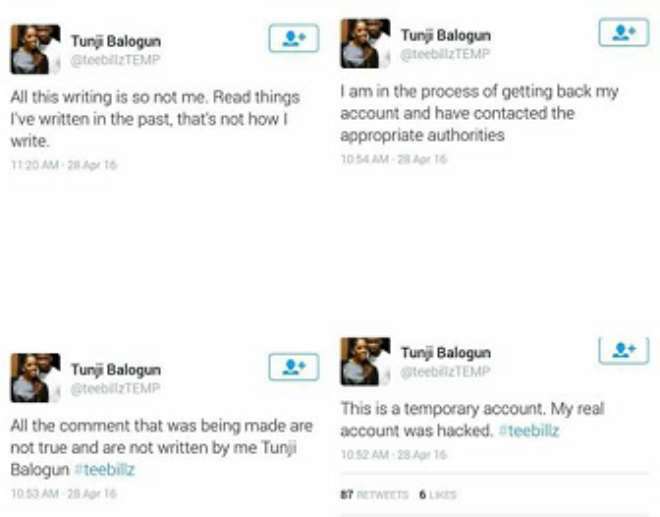 Meanwhile he claims not to have recovered his account yet, and has gone ahead to open a new account. Can we be easily fooled? Just saying though, when will a hacker be so generous and compassionate to delete articles purposefully meant to hurt an individual, if it was not actually written by the owner of the account?